It’s my birthday! 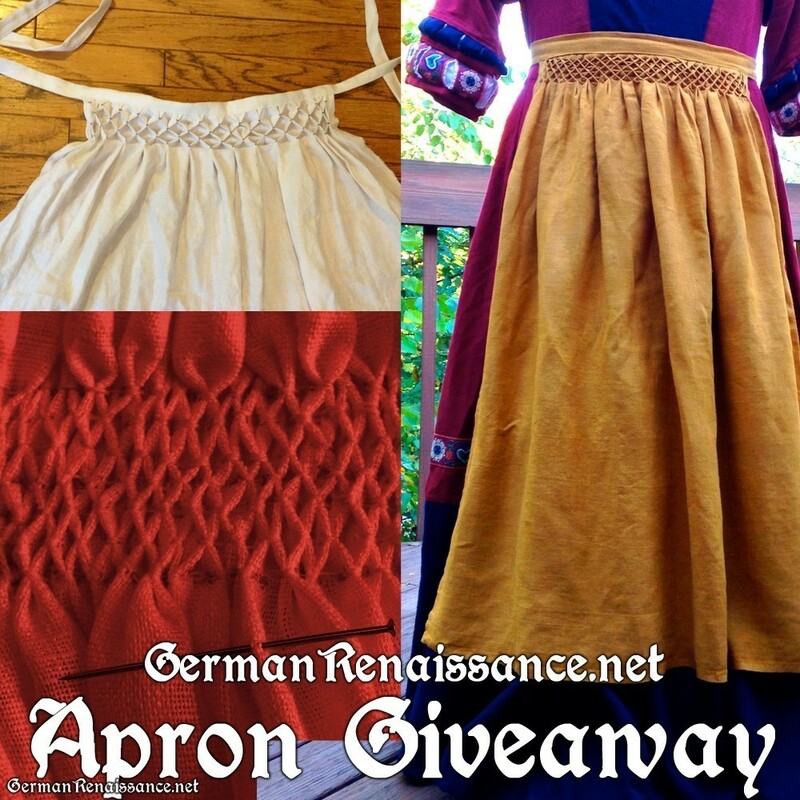 To celebrate, I am giving away a honeycomb pleatwork linen apron, in your choice of colors (white, gold, red, etc.) and your choice of sizes. I’ll make it just for you and ship it to you anywhere in the world. Anyone can enter. To be in the running, go to the GermanRenaissance page on Facebook and comment or share the giveaway status (see link below) and let me know what color you’d prefer. I will draw one name randomly on lucky October 13, 2013 at 9 pm ET and announce the winner on the German Renaissance Facebook page. Good luck!